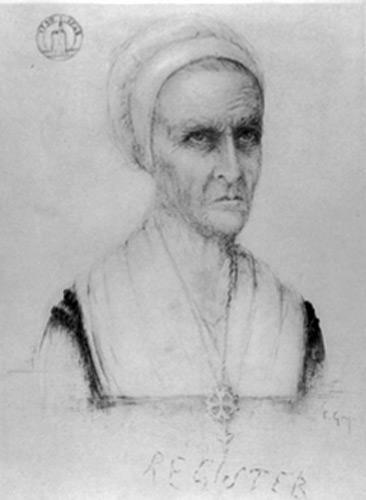 For the French protestants, Marie Durand symbolized those who resisted religious intolerance after the revocation of the Edict of Nantes. Marie Durand (1711-1776) © S.H.P.F. Marie Durand, whose brother Pierre Durand was a pastor, was born in 1712 in the hamlet of Bouchet du Pransles in the Vivararis region. The Durand family maintained their faith secretly by daily readings of the Bible. The father organized secret assemblies in the “Désert” where protestant services were held from time to time and it was at one of these that Marie’s mother was arrested due to the denunciation of a neighbour ; she later died in prison. Her brother Pierre, born in 1700, was already a gifted preacher at these secret assemblies although he was barely 20 years old. Later he played an important role in the Vivarais churches and tried to put into effect the decisions which had been taken at the Synod of Languedoc in May 1721 ; however, he was arrested and shot on 22nd April 1732. Her father, despite his age, was also in prison. Marie had just become engaged to Mathieu Serre, who was 25 years older than she was ; sadly, due to another denunciation, little came of their marriage which had been celebrated in the “Désert”. Mathieu was arrested and sent to Brescou castle. 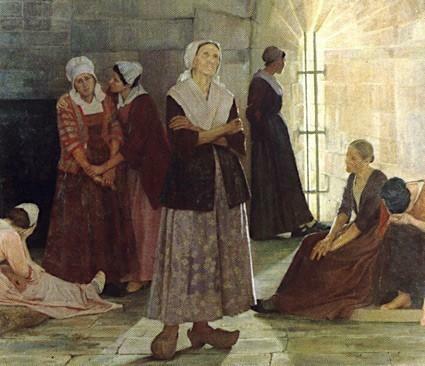 In 1730, a month later, Marie herself was arrested and imprisoned in the Tour de Constance in Aigues-Mortes. When she came she was 18 and she stayed for 38 years, that is to say, until 1768, when she returned to Bouchet de Pransles. She died 8 years later, in 1776. Little is known of the first few years which Marie spent in this prison – out of the thirty women prisoners there, several were from the Vivarais region. Although she was the youngest, her faith became strong through suffering. She kept up the spirits of her fellow prisoners and gave them great comfort – this was probably due to the pain she felt at her brother’s saintly death two years after his own imprisonment – it was also due to her courage and acceptance of the situation. She gave encouragement, helped them to fight against the temptations of abjuring their faith (even though this would allow them to obtain freedom), in short she was the very spirit of resistance to the pressures of the catholic hierarchy who wanted the prisoners to give up their protestant faith. Nobody really knows whether the inscription “Resist” engraved on the edge of the prison well was really done by Marie Durand, but she symbolizes for the French protestants today the faith and indomitable hope which was typical of those who stood up for their beliefs in the troubled times of the “Désert”. some personal letters to her niece, Anne Durand, who had taken refuge in Geneva.